The National Environment Agency (NEA) from Singapore has just awarded MFI for a contract concerning the supply and the implementation of a climate data management system. In collaboration with our local partner WinSys, we will be providing the NEA with our climate solution CLISYS. 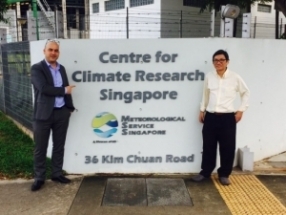 Thanks to this advanced system, the Singapourean Met Service will be able to store and manage quality controlled climatological data thereby improving the quality of its climatological database and being in capacity to produce relevant reports / products to face the increasing expectations of end-users. Indeed, a climate data management system like CLISYS will be a major asset to understand how climate change affects resource management and weather-sensitive operations planning (agriculture, water supply, health, transportation, etc.). The project also includes associated services such as training, installation, warranty and maintenance.